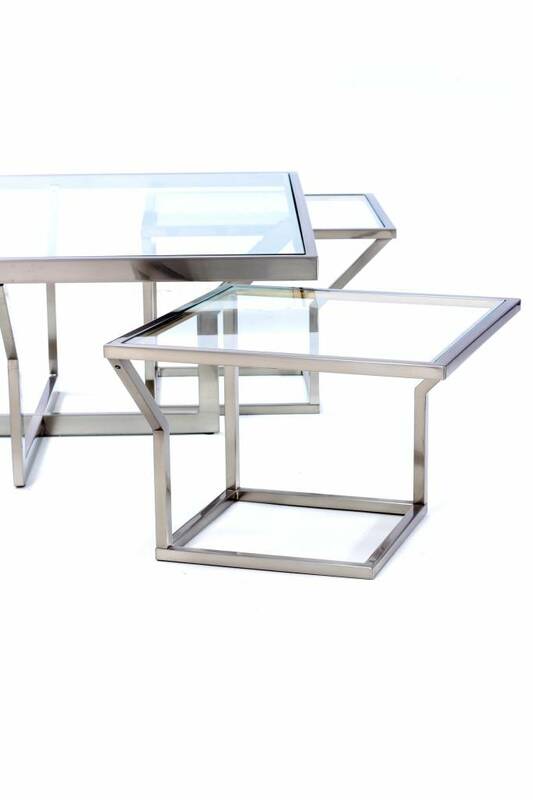 The manufacturer is now no longer active, but their furniture remains very popular and sought in the interior world. 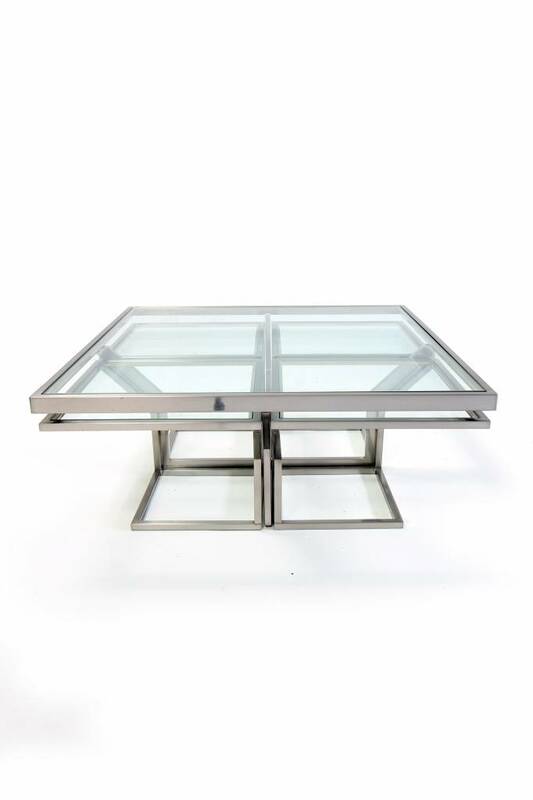 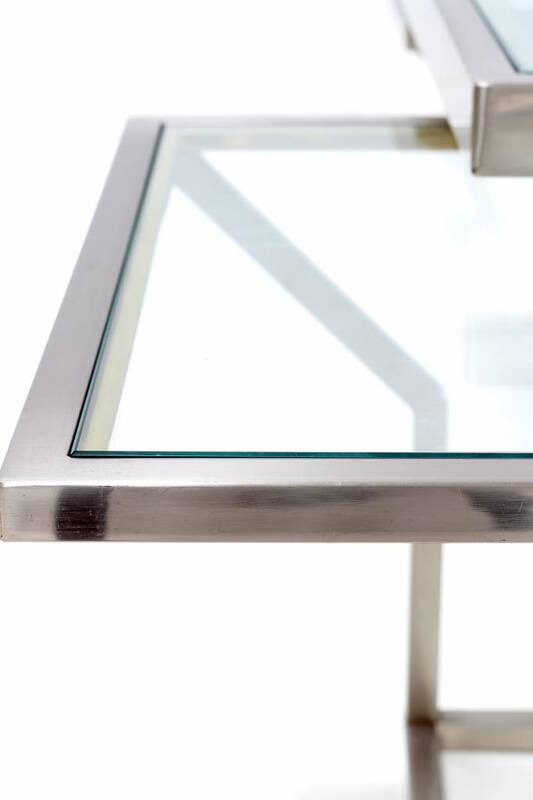 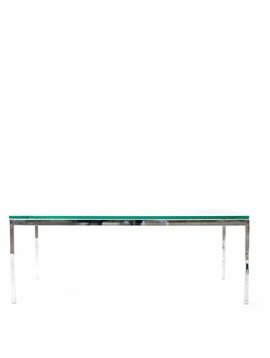 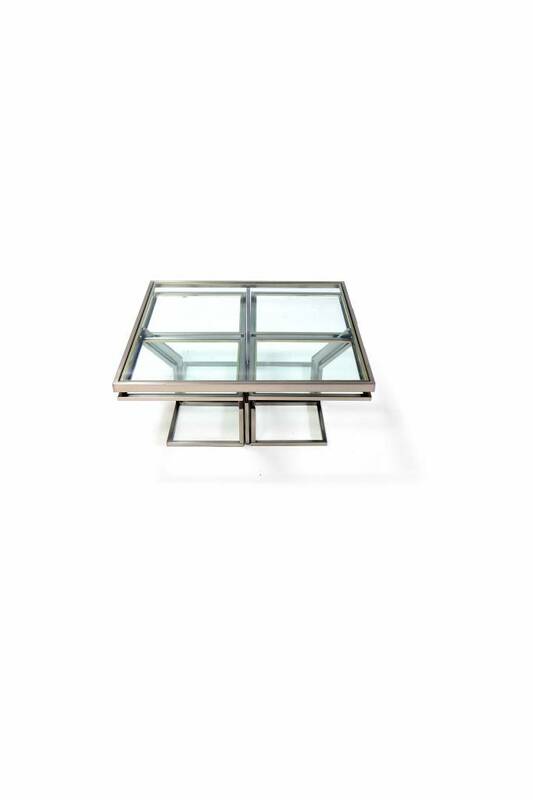 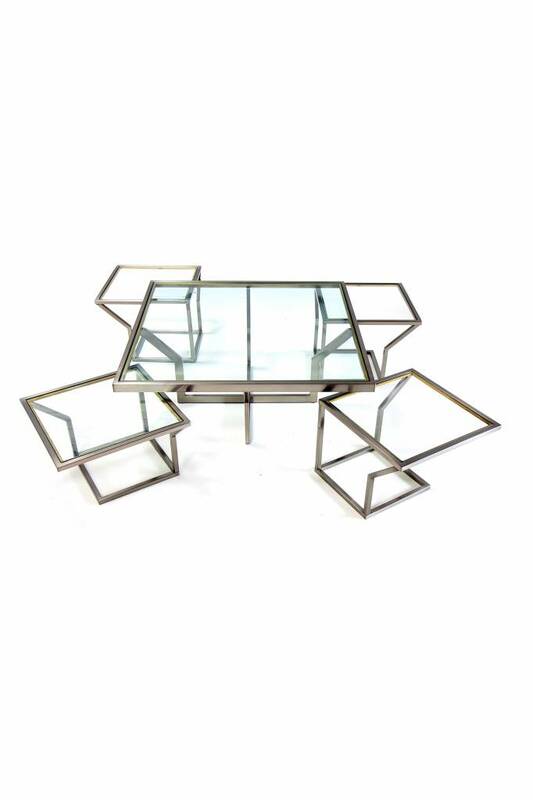 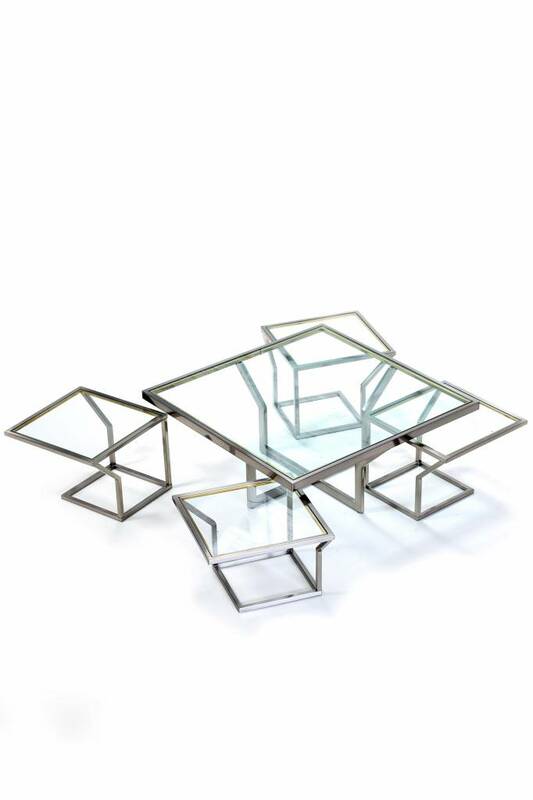 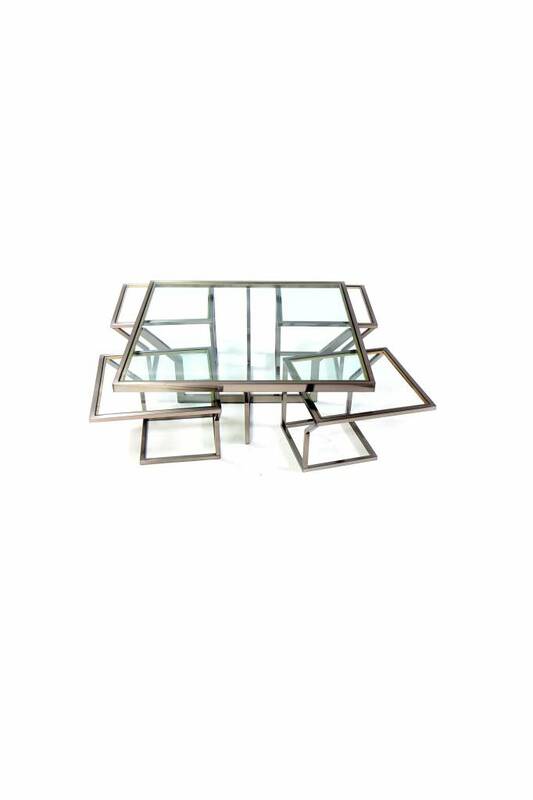 The coffee table was made of chrome, brass and a glass top can be set to any interior. 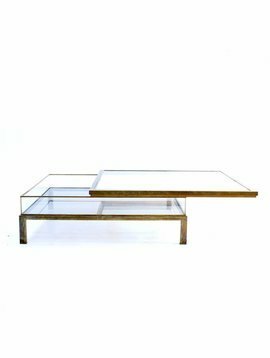 The side tables fit perfectly under the coffee table and are easy to move.